Running off of the FLEXVOLT 20V/60V MAX*battery, the DCV585 cordless Dust Extractor is an efficient and portable way to achieve OSHA Table 1 compliance on the jobsite. This product features Wireless Tool Control with remote, allowing the user to activate the extractor from the tool, at a distance. It also features a automatic filter cleaning mechanism and includes HEPA filters. 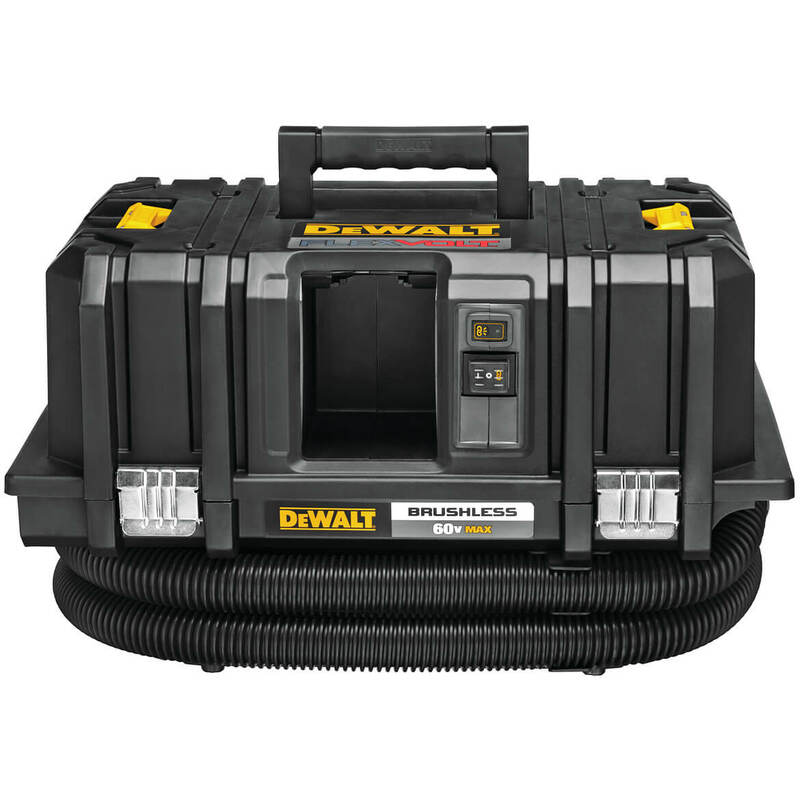 8 Foot Long Anti Static Hose with DEWALT AIRLOCK system. Meets the EPA Lead Related Renovations, Repair, and Painting (RRP) rule for HEPA vacuums when used with the included HEPA filter. Sku DCV585B Brand DeWALT Voltage 60V Tank Size 2 Gallons Max. Cfm 125 Cfm Compatibility T-Stak Hose Length 8 ft. Length 21.5 in. Height 13 in. Product Weight 17.6 lbs.